What types of organizations do you think are most likely to utilize an eLearning system? There are many, a few of which include schools, companies, healthcare establishments, businesses, private sectors, and multinationals. However, these are not the only organizations that rely on social learning management systems to keep their affairs in order. More and more nonprofits and associations are turning to eLearning to meet their needs. Learning Solutions Magazine’s Ellen Behrens writes, “Within a total of about 360,000 non-profits across the country, 7,500 trade associations are affected by a shift in training priorities to eLearning.” 7,500 out of 360,000 is a significant number, and it should be noted that this statistic was cited in 2009—just think of how many more associations and nonprofits are shifting to eLearning today. eLearning Platforms Engage Members, Volunteers and Employees – Combined, how many volunteers, members and employees does your association or nonprofit have? Imagine ALL of those individuals engaged with one another and collectively aware of events, trainings, news, etc. (Keep in mind that this would require no great effort from you or your staff members.) Does this sound too good to be true? It is not; eLearning systems make this type of scenario possible. eLearning platforms with features like content sharing, reporting, calendaring, and administrative tools can help everyone involved in your organization stay up-to-date and in sync with one another. LMSs Facilitate Clearing of Organizational Clutter– How many old, inefficient training materials does your association or nonprofit possess? Probably quite a few. A cloud-based learning management system (LMS) enables you to toss any training resources that have proven to be ineffective or outdated. Why? Because it holds all training materials in a secure online database. Best of all, any LMS user can access these training materials from anywhere in the world. Learning management systems break down barriers – It’s not uncommon for nonprofits and organizations to have members and employees that are geographically and/or linguistically separated. An LMS that can be deployed in many major languages puts an end to separation brought on by location or language, and unites all LMS users regardless of where they live or what languages they understand. Some LMSs Don’t Require IT Teams – Did you know that certain social learning management systems do not require in-house IT teams for maintenance? This is a good thing since many associations and nonprofits do not have even one IT person on staff, and do not have the budget to hire IT personnel. LMSs that best serve associations and nonprofits are self-managed, requiring no support from an IT team. Such eLearning platforms can be quite affordable. 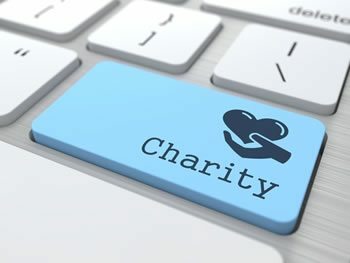 Nonprofits and associations usually do not have extra funds to throw around, and most cannot afford to waste their money investing in an inefficient LMS. TOPYX, the award-winning LMS used by Rotary International and Big Brothers Big Sisters, is perfect as a nonprofit LMS because it is remotely-hosted and self-managed (it doesn’t require an in-house IT team for maintenance), and is therefore incredibly affordable. This unique social learning management system hosts as many users as you can find—an unlimited number of employees, volunteers and members—for one low, flat rate. TOPYX is simply the best eLearning platform for associations and nonprofits. Qualified nonprofits may receive discounted pricing. Ready to find out why associations and nonprofits are turning to eLearning? If so, implement a learning management system to experience all the benefits described here for yourself. We bet that you’ll never go back to life without an LMS.